Here we are July 27, 2012. This is a piece of broadcast history. Actually the whole building with its design and architecture are very well preserved and I look forward to better photo documenting this transmitter site. 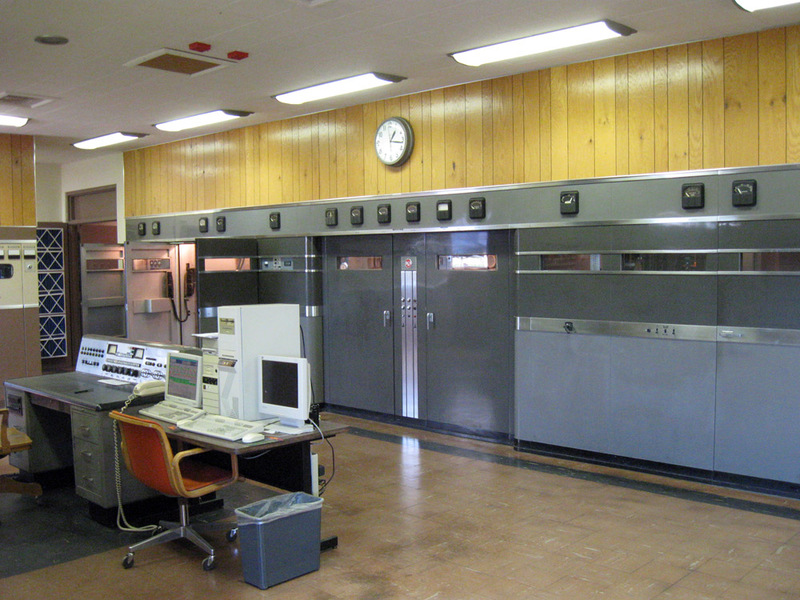 This is the main transmitter room. Originally only the RCA was in this room with its main control desk, which you can see to the left. The computers on the table hold computers for the remote control system. This view is looking from standing in front of the phaser. The door on the far right of the picture actually is a door to the inside of the transmitter.